On Sunday, April 14, 1912, just four days after setting out on its first voyage with passengers aboard, the R.M.S. Titanic passenger ship struck an iceberg off the coast of Newfoundland at 11:40 p.m., and subsequently sank at 2:20 a.m. Of the 2,227 people aboard when the ship started its trans-Atlantic voyage, a total of 1,522 died in the disaster. The 705 surviving passengers were rescued by the Carpathia liner several hours later. The binoculars for the lookout got lost at the beginning of the voyage, but they were not replaced at one of the ports. The six or seven telegram warnings received from other ships in the area about heavy ice were each put in different places on Titanic, and all were virtually ignored, so the actual extent of the ice area was unknown. There were no regulations at this time for the posting of wireless messages. Captain Smith went ten miles south of the original course to try to avoid ice. But he did not slow the ship down. The ship was going at its top speed because Titanic owner J. Bruce Ismay wanted to beat the record of Titanic's sister ship, Olympic. While going through the heavy ice areas, Captain Smith did not post extra lookouts, and only appeared on the bridge once. Outdated Board of Trade regulations did not require enough lifeboats for all passengers. One of the engineers recommended putting in additional lifeboats during the design stage, but his recommendation was rejected because of the extra expense. Titanic’s officers were not told that the lifeboats could be safely filled to capacity, that Titanic would sink in two hours, or that there were only enough lifeboats for half the passengers. So they only filled many of the boats half full. Captain Smith, who was in shock and so did not strongly lead the crew, never came to the boat deck where he could have corrected this. Outdated Board of Trade regulations required Third Class to stay completely separated from First and Second class because of the purported risk of disease. So the gates between the Third Class area and the rest of the ship were required by law to remain locked. And there was no easy access to the boat deck from the Third Class area, an oversight by Titanic’s designers. If the nearby ship Californian had come to Titanic’s aid when Titanic's distress signal rockets were fired, most if not all of Titanic’s passengers could have been saved. But the Californian's captain, Captain Lord, ignored the rockets, and his officers were afraid to do anything because he was reportedly tyrannical. Also, at that time there were no laws requiring 24-hour wireless operations; if there had been, they would have heard Titanic’s distress calls over the wireless and been obliged to come to her aid. After Titanic sank and there were many people in the water, only one lifeboat went back to rescue those in the water. The officers of the other lifeboats wanted to go back, but the passengers didn’t, for fear of the boats getting “overcrowded” (which was ironic since they were only half full anyway, and many wives had husbands they could perhaps have saved). The only exception to this was on Molly Brown’s boat; the passengers wanted to go back but the officer didn’t. R.M.S. 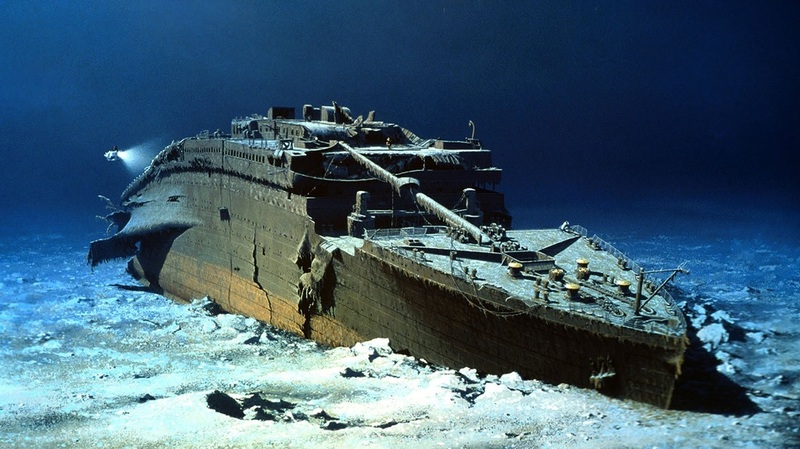 Titanic sank because of complacency, carelessness and bureaucratic interests. No one person or party could be blamed, and it could only be classified for the record as “an act of God.” No one had believed that she could sink, and so no one took the necessary precautions. One unwise soul had even claimed that God himself couldn’t sink her. But God is not to blame for the tragedy. Human folly collided with God’s nature and sunk Titanic. The great tragedy of Titanic is that the whole disaster was completely avoidable. That is why it is still so compelling today, and why it had such a great impact on the overconfident and “enlightened” era in which it occurred. That era had become so dependent on science and technology as to see itself as invincible, and was swiftly humbled by the Titanic disaster.